Learn to think creatively and with an open mind; observe and describe, analyze and interpret; express feelings with or without words; build your confidence and even simply de-stress from a long day. Creating art benefits all ages. Art is known to reduce stress and anxiety; increase positive emotions; open the mind to new ideas and even improve your physical health. Under the tutorage of Bhavisha, students will have the opportunity to discover their hidden talents. 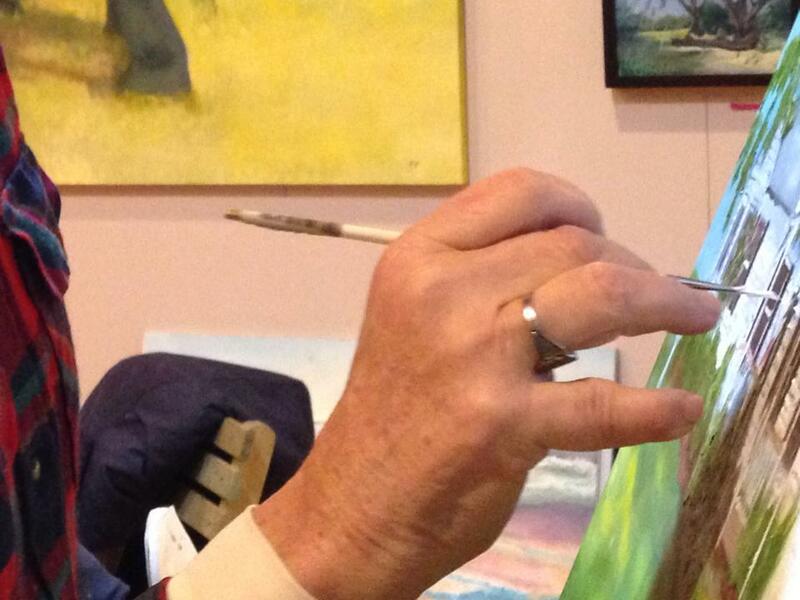 Classes are for all ages, all degrees of experience in oil painting, and are customized to fit individuals' needs. Children's lessons are rooted in history and utilize a variety of mediums. This includes: making paper, preparing a canvas, and lessons that cover color, cave paintings, impressionist art, modern art, contemporary art and art from different cultures. Sign up for a session of 8 lessons for $400.00. Individual one on one lessons in oils start at $30.00 an hour for a two hour minimum. Sign up as a group of three or more for $20.00 an hour for a minimum of two hour lessons. Adults paint from photographs they choose, a still life, or your imagination. Email us an image for approval and we will give you an approximation of the number of classes necessary to complete the painting. Lessons begin at $30.00 an hour for a minimum of two hours a session. Make Ageless Gardens Gallery your own private space by planning an intimate evening painting with friends. You can all choose to paint the same image, paint from a still life or make a painting of your choice. For a group of 3-5, classes begin at $40.00 per person; for a group of 6-8, classes begin at $30.00 per person, depending what you choose to paint. Unlike commercial spaces, this offers a relaxed cozy environment without the pressure of time restrictions.